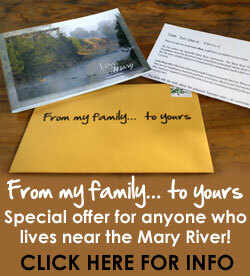 Do you need extra copies of the letter to pass out to friends? 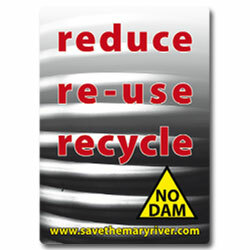 Want to also buy books to keep? 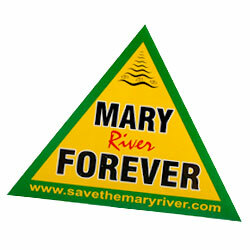 A special campaign initiative for everyone living along the Mary River... from Maleny to Hervey Bay... to send a copy of Love, Mary to a random family in Brisbane & raise awareness of the importance of preserving the Mary River! 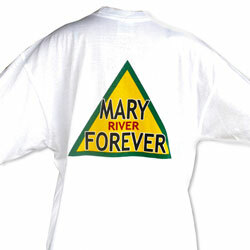 Each 'From my family...' pack contains one book, a letter for a Brisbane family, a postage-paid envelope, and a random page of postal addresses from the Brisbane White Pages. 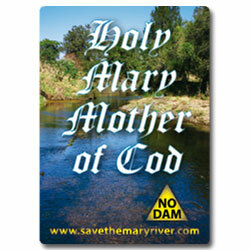 An inspiring, uplifting & beautiful look at the Mary River. 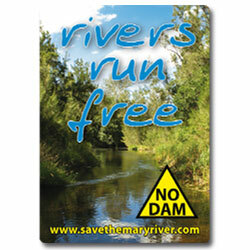 This 64 page full colour book is the perfect NO DAM christmas present! 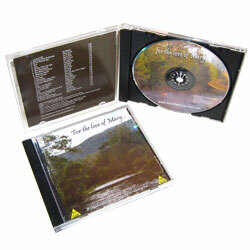 a bonus copy to give to a friend! 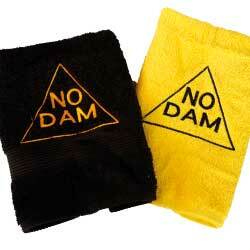 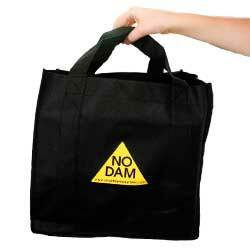 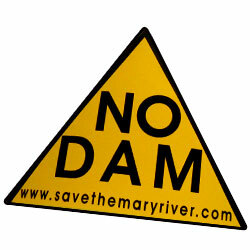 Three brand new designs, printed exclusively for the No Dam campaign. 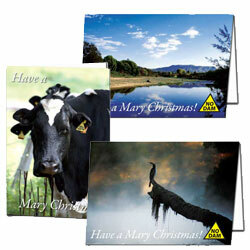 Your mixed pack features a stunning Mary River panorama, a misty early morning on the river, and a bovine protest! 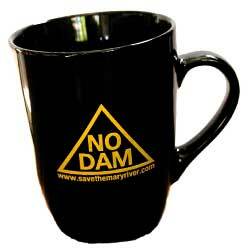 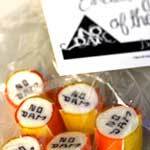 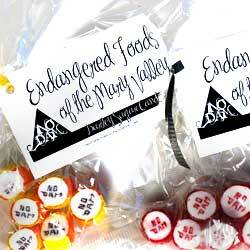 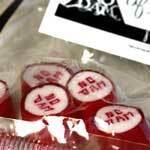 Unlike the dam proposal, these don't leave a bad taste in your mouth! 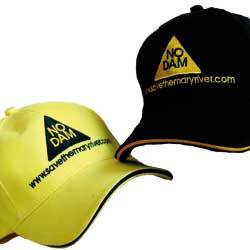 Handy headwear for spreading the word! 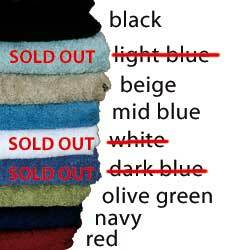 Thick and fluffy towels... a must have in any bathroom! 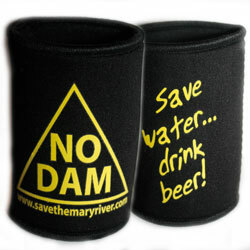 The must-have accessory for the beer-drinking No Dammer. 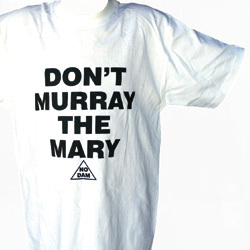 Have a cuppa for Mary! 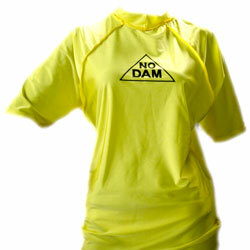 Available in either black mug/yellow print, blue mug/yellow print, or white mug/black print. 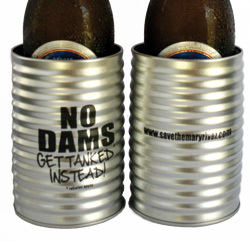 Approx 30cm tall, & packed with attitude! 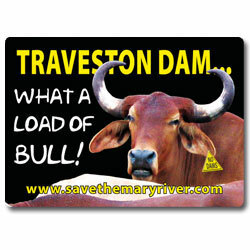 Join the huge fraternity of protesters on wheels... spread the word. 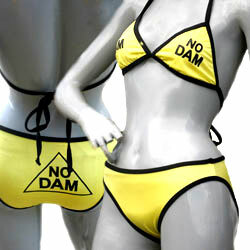 The water crisis shouldn't stop you flaunting this fab bikini at the beach this summer. 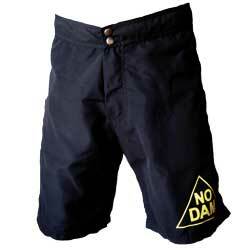 The swimwear of choice for all environmentally, socially and morally conscious beach babes! 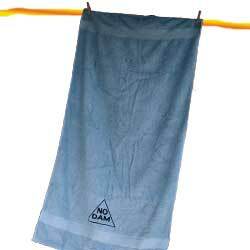 It's not just all fun for the girls at the beach this summer. 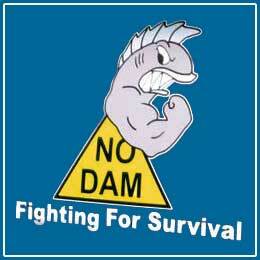 Boys, get the word out there! 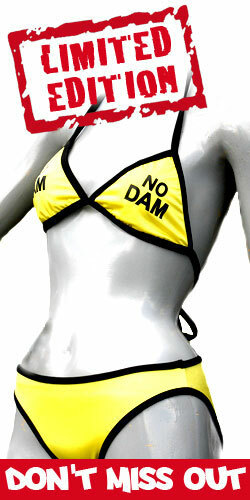 Complements any NO DAM swimwear combination! 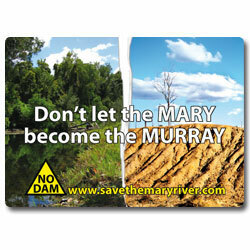 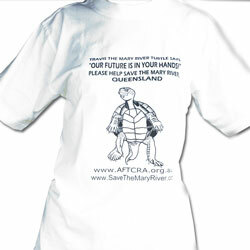 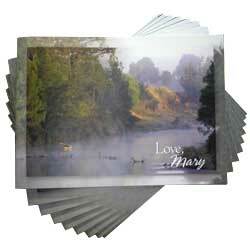 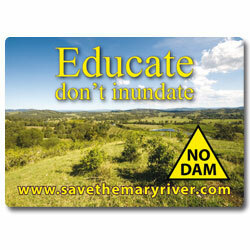 Make your body a billboard for Mary's endangered riverine residents. 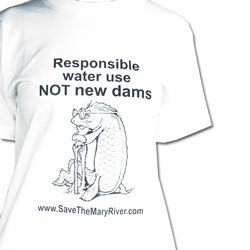 These shirts are generously-sized & have the logo printed on the back only. 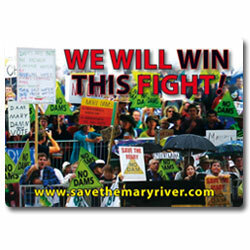 Power up your protest with a fridge magnet daily affirmation. 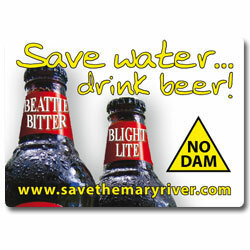 Inflict them on your friends and colleagues! 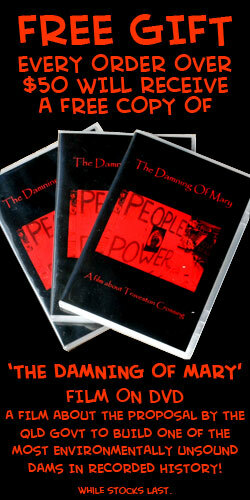 Harness their magnetic power to effect positive change! 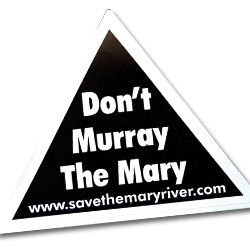 Mary Valley musicians raise their voices in protest - this is an eclectic offering, choose your anthem! 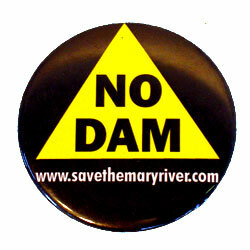 A film about the Qld government plans to build one of the most environmentally unsound dams in recorded history. 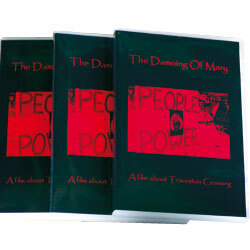 or receive this film as a FREE GIFT when you spend over $50 in one order. 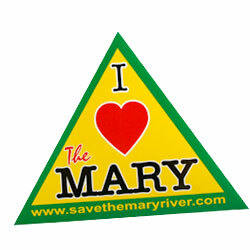 Mary Valley residents wear their hearts on their sleeves - you can support them by displaying your opinion on your chest.